OMG, I am totally obsessed with this project over at Remodelaholic right now. Have you ever come across vintage corbels in an antique shop? They are gorgeous, but they can run a few hundred dollars, depending on how big they are. Yikes!!! 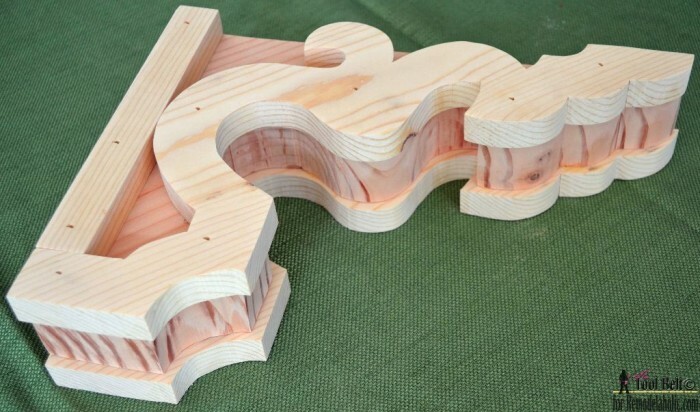 They’ve always been something I’ve admired from afar, but Amy from HerToolBelt.com has come up with a GENIUS plan and template for making your own corbels, that she is featuring over at Remodelaholic. Do you ever have one of those moments where you’re like “DAMN, why didn’t I think of that???? ?” Such an easy and inexpensive project – just brilliant. Get the Restoration Hardware look, for like, less than 10 bucks – thats awesome.